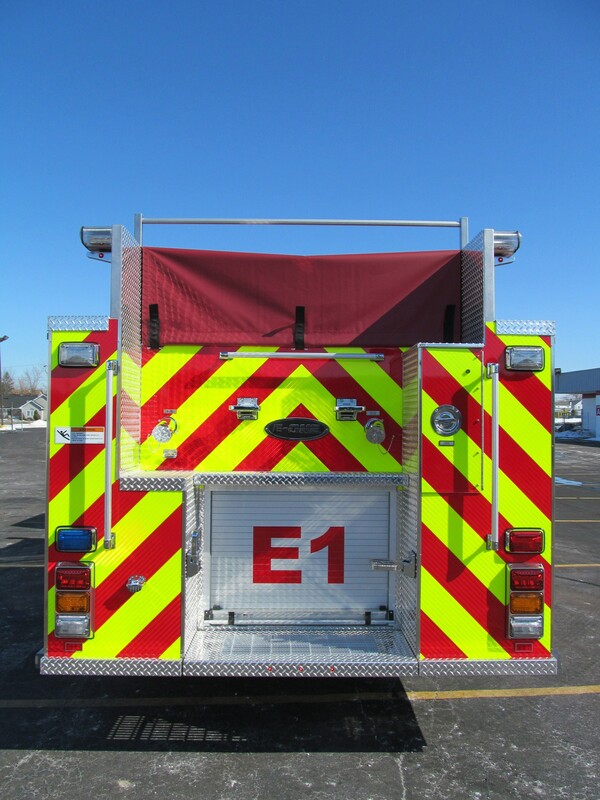 West Seneca Reserve Fire District No. 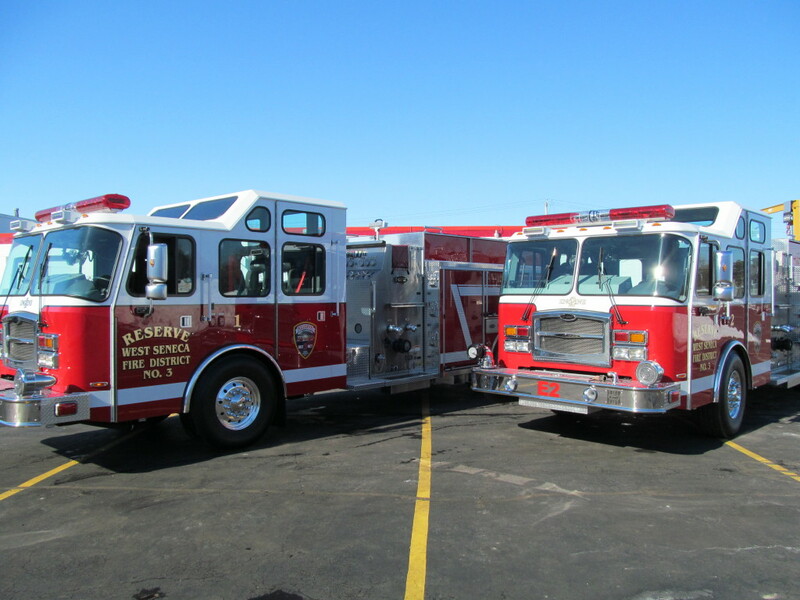 3 just received two top mount pumpers. 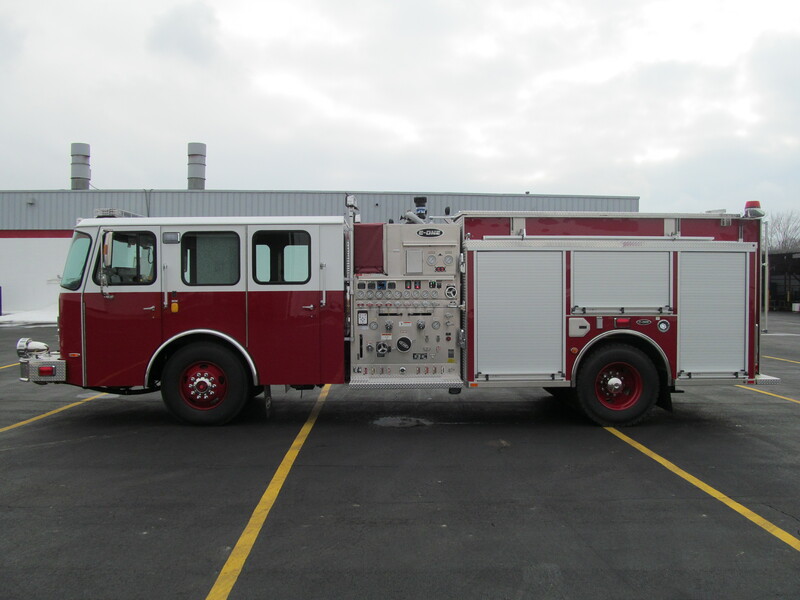 Both of these Stainless Steel trucks were manufactured at our facilities in Hamburg, NY just outside of Buffalo. 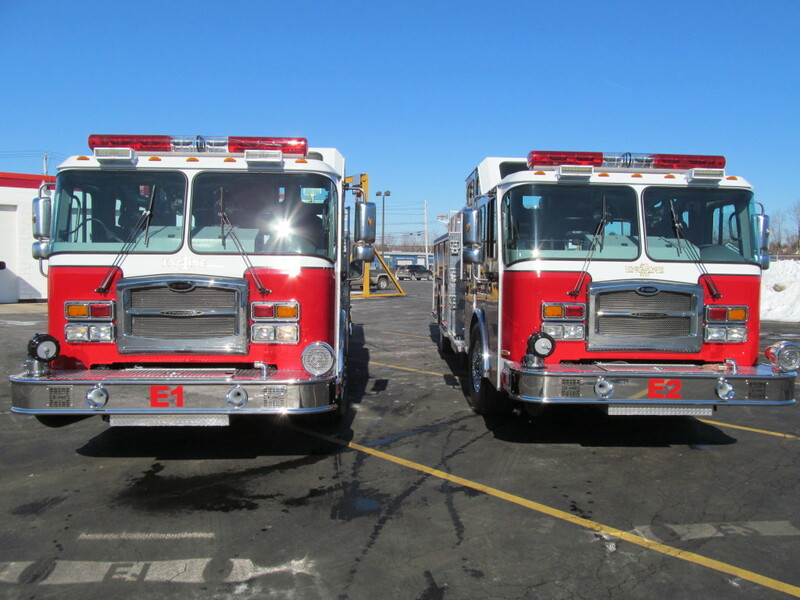 They are both equipped with a Hale QMAX 1000-2250 GPM single stage pump, 780 Gal. 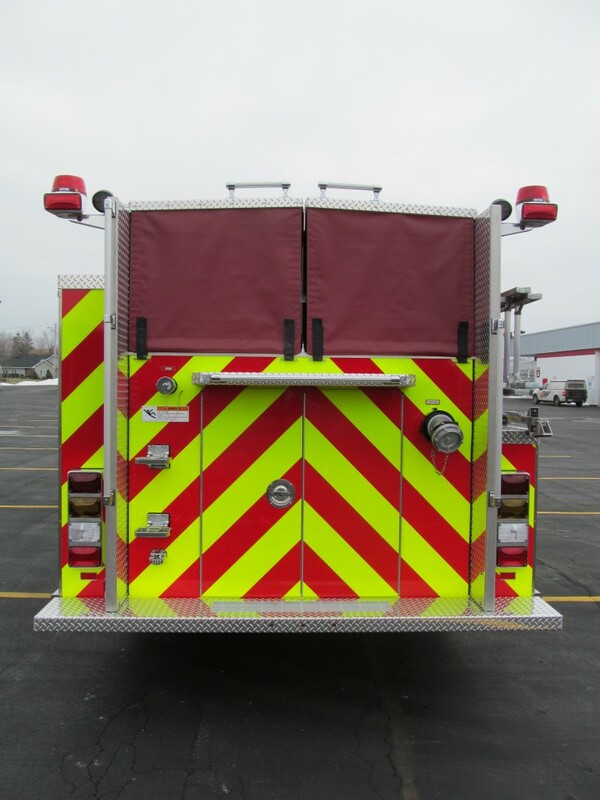 water tank, 30 Gal. 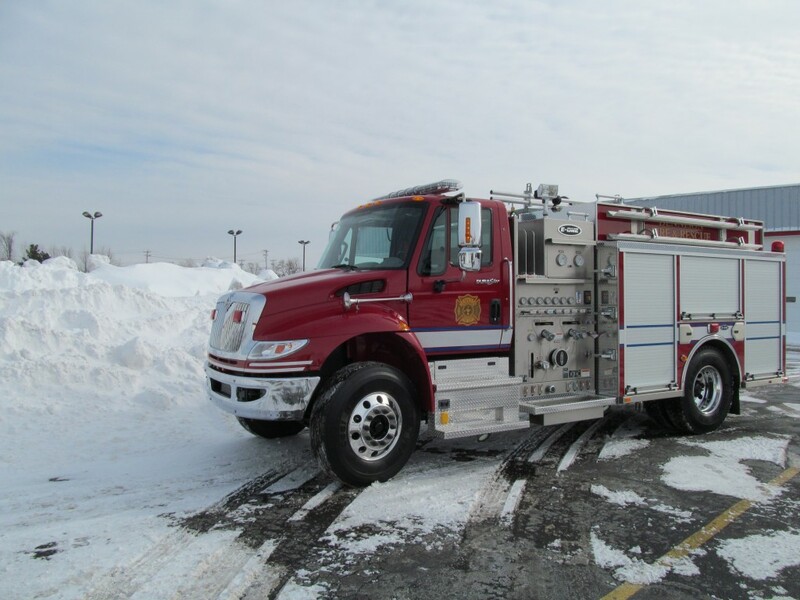 foam tank, and a 400HP Cummins ISL engine. 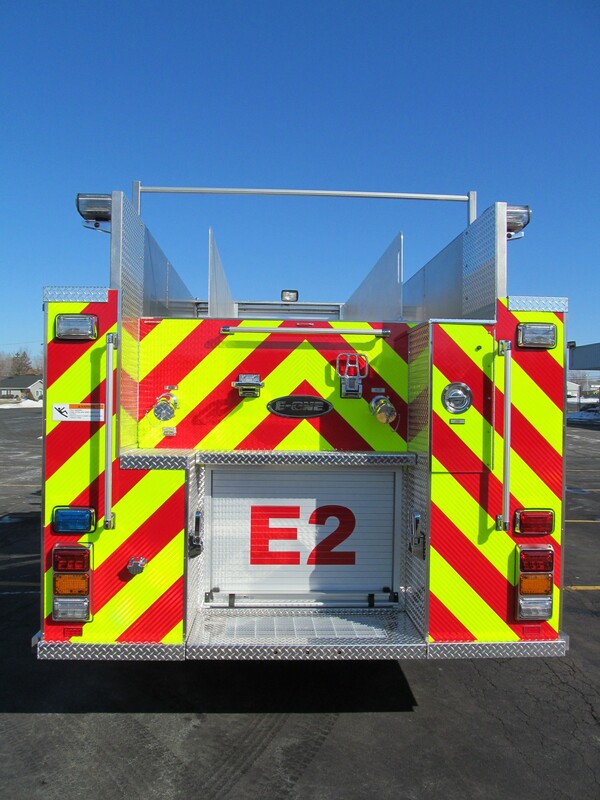 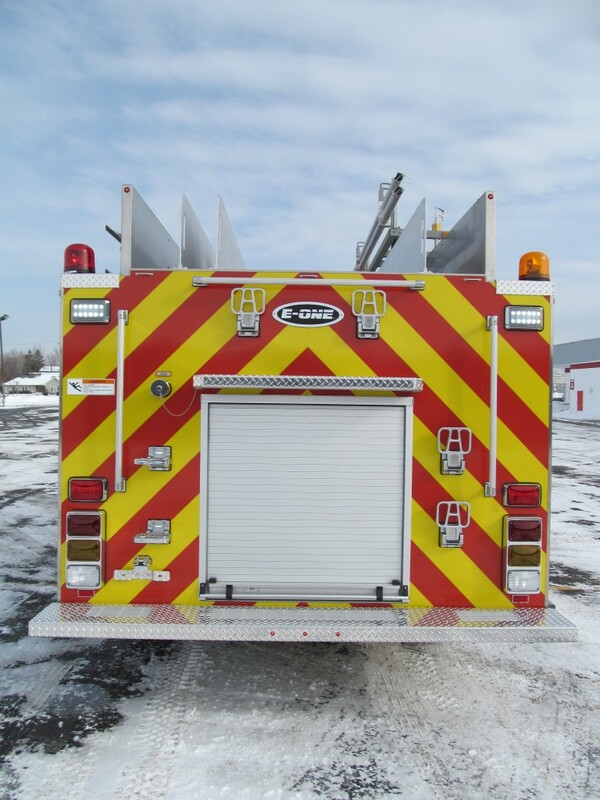 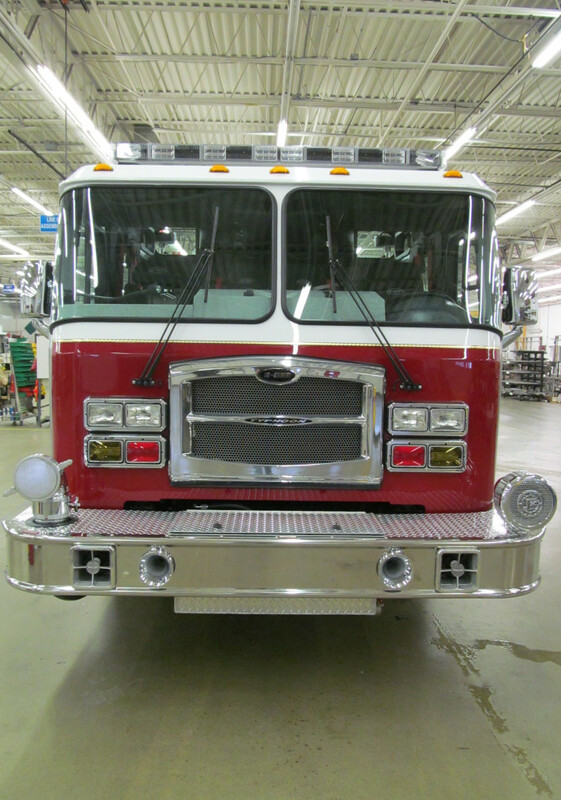 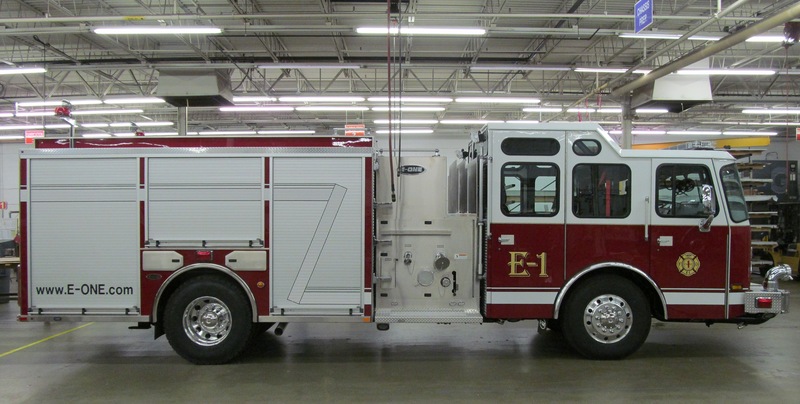 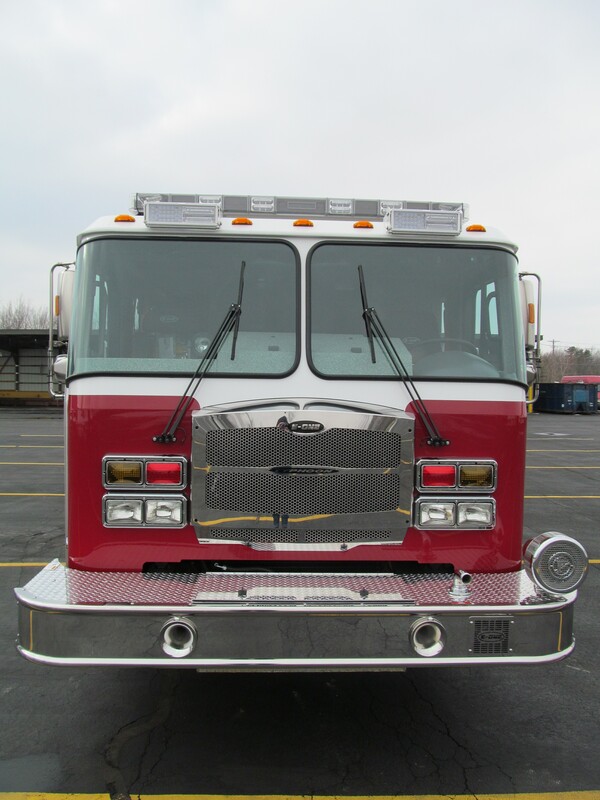 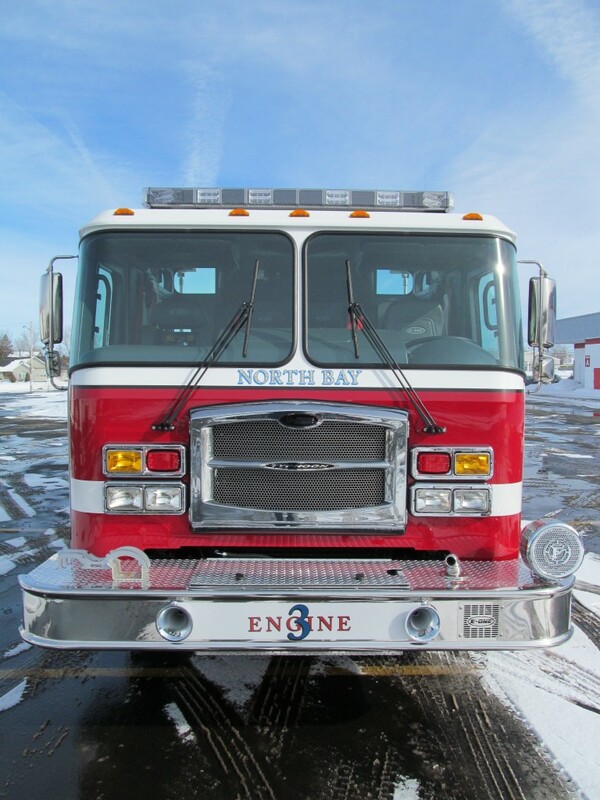 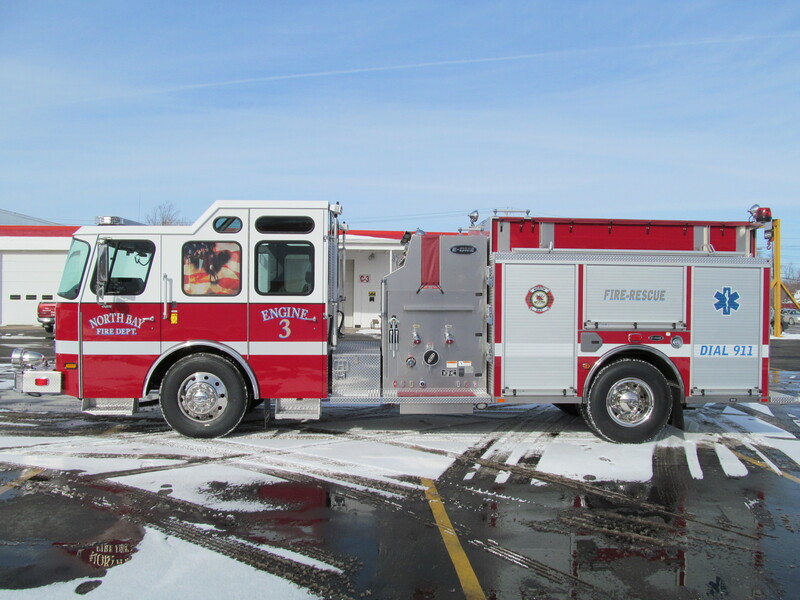 This Stainless side mount pumper has a 1030 Gallon water tank, 30 Gallon foam tank, a Hale QMAX 1500 GPM pump, and a 450 HP Cummins ISL engine. 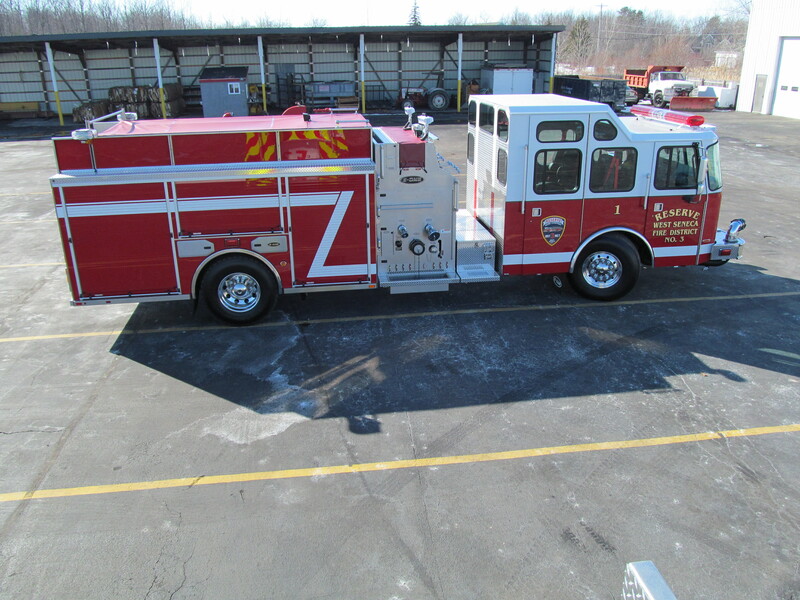 All that is remaining is the application of the new Graphics identifying this as a truck belonging to the Henrietta Fire District. 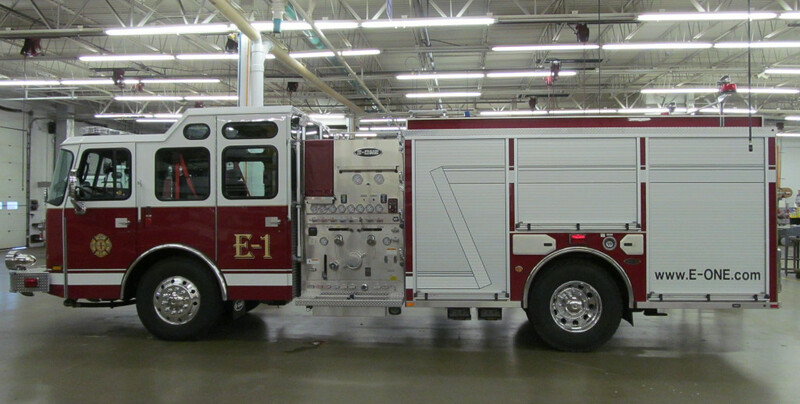 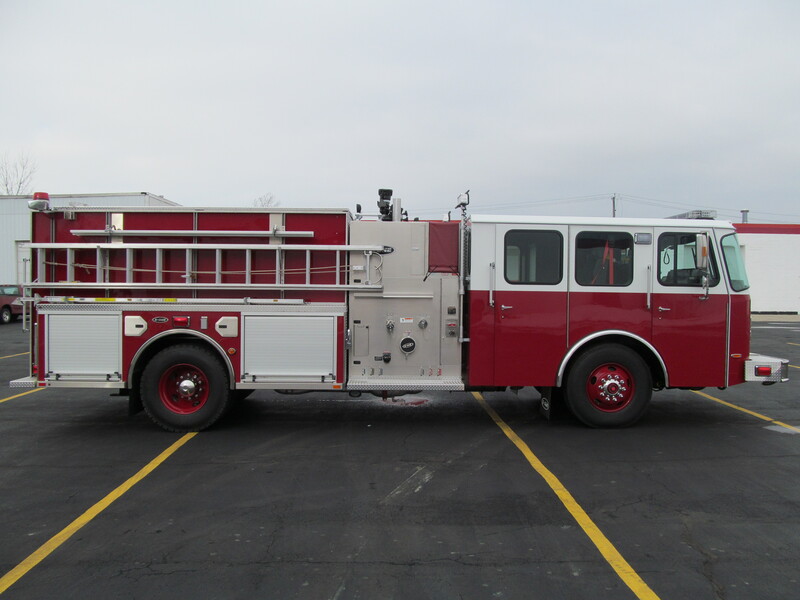 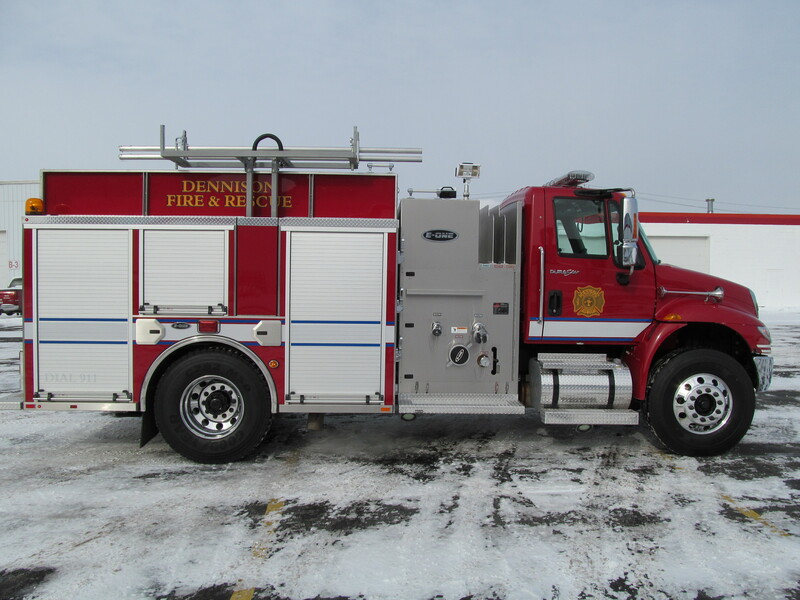 Dennison Fire Department will need the corrosion resistance of this Stainless Pumper during their cold winters. 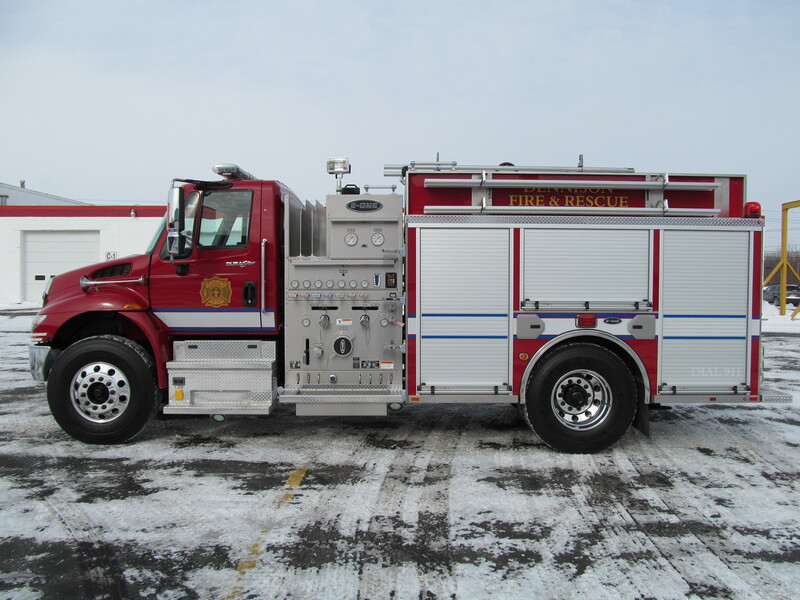 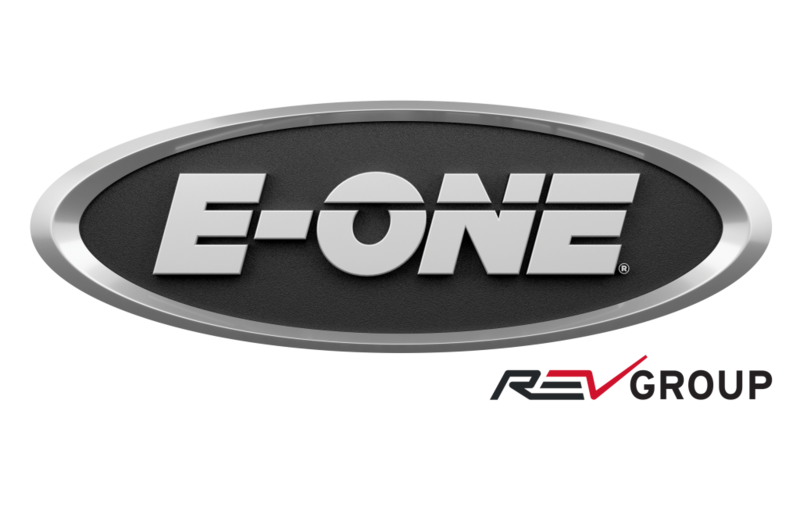 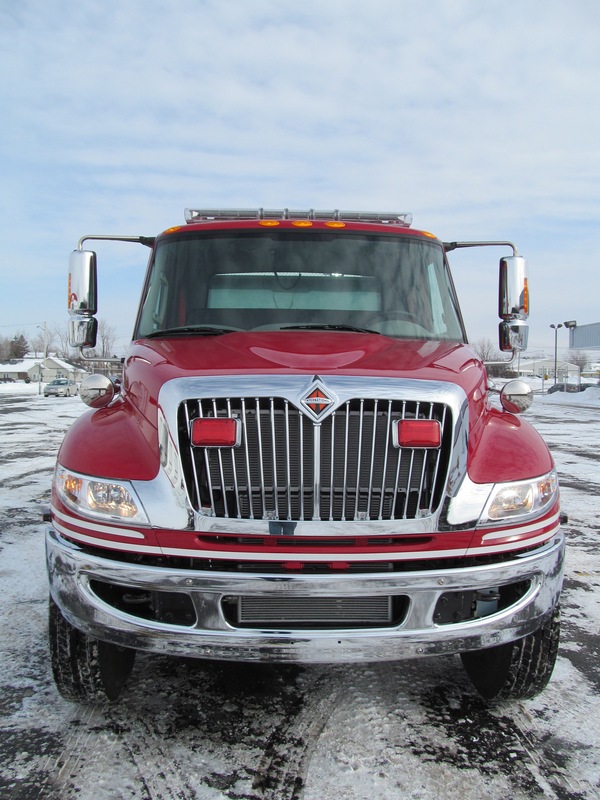 Built on a two door International 4400 4×2 chassis, this truck includes a Maxx Force 9 330HP engine, 1030 gallon water tank, and a Hale QFLO 750-1250 GPM pump. 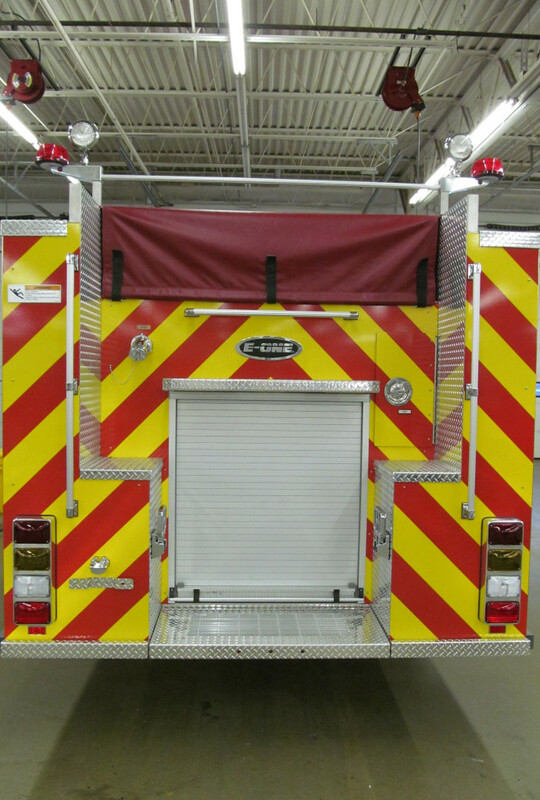 This Typhoon X med. 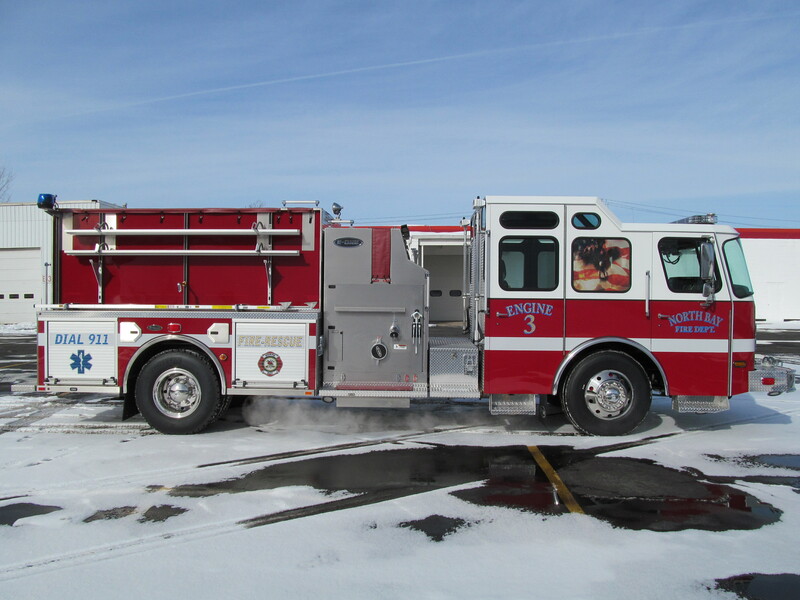 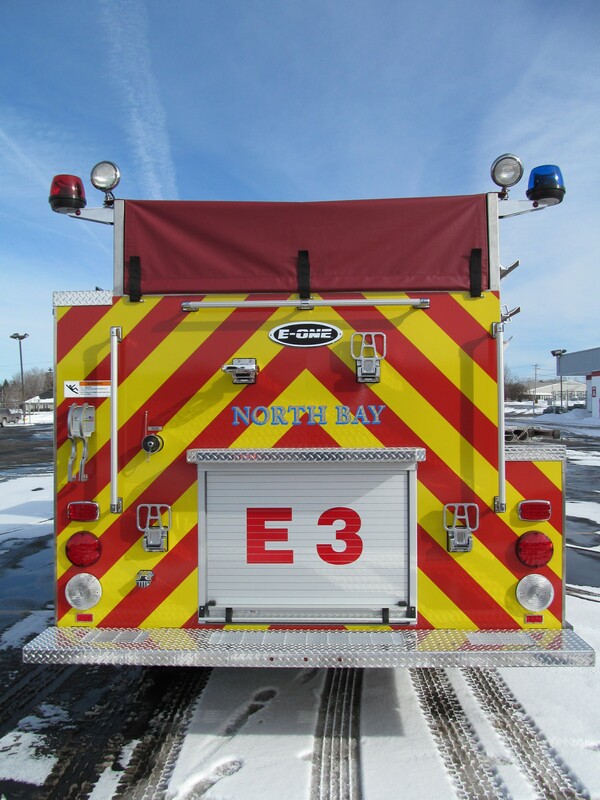 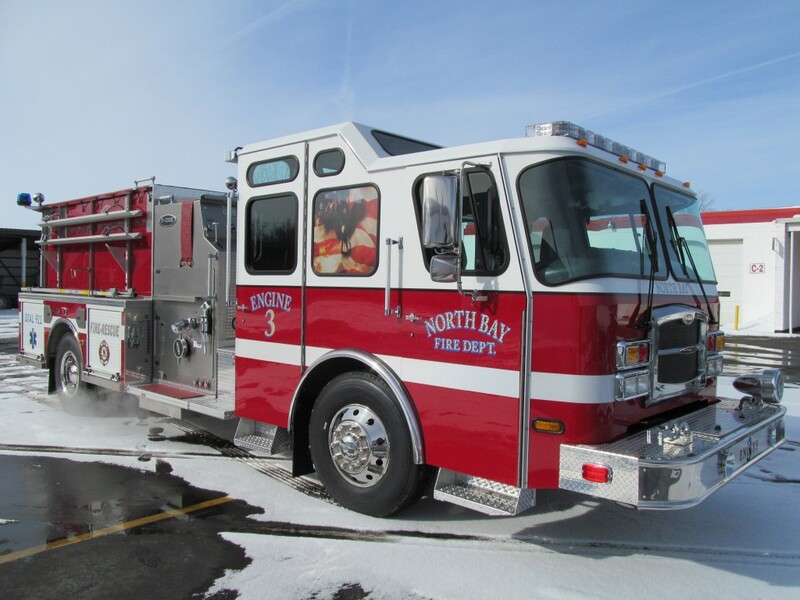 cab with 58″ CA seats 8 officers and comes equipped with a Cummins ISL 400HP engine, 1030 Gallon water tank, 30 gallon foam tank, and a Hale QFLO 750-1250 GPM pump. 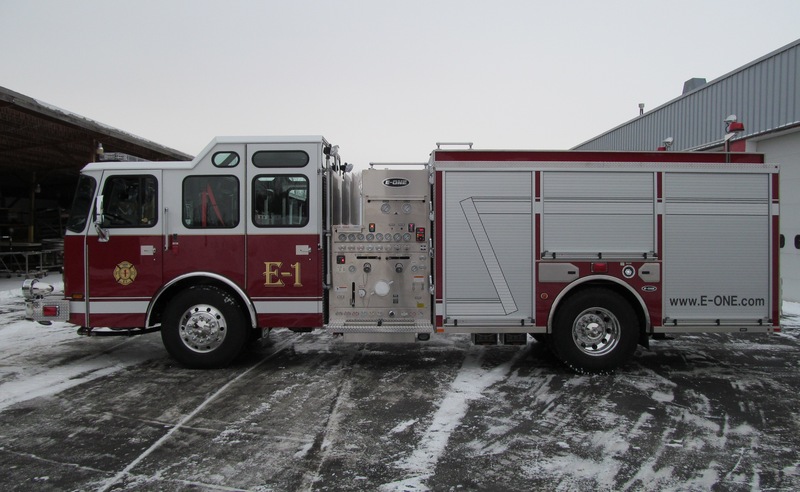 This Stainless Side-Mount Pumper just roll off our manufacturing line and was delivered to the Lexington, MA Fire Department. 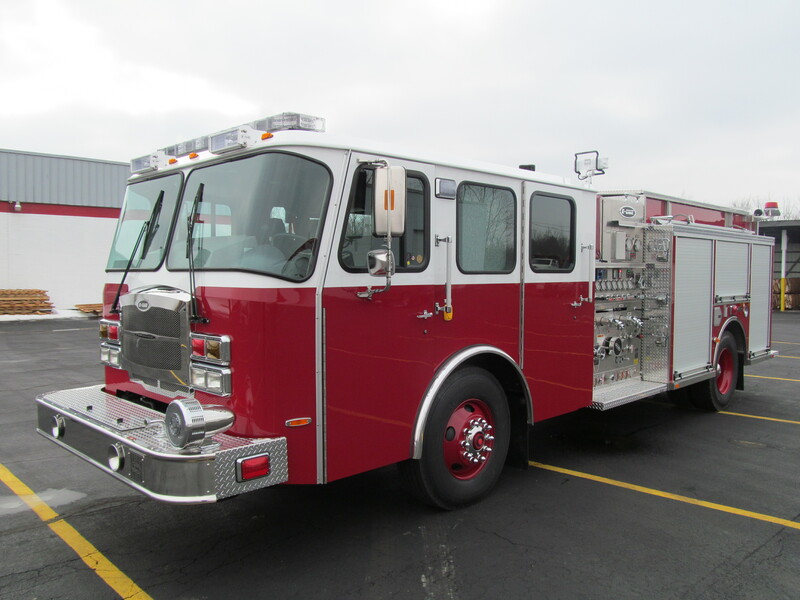 We are confident this Pumper with its Hale QFLO 750-1250 GPM pump, 530 Gallon water tank, and a 30 Gallon foam tank, will be of good use to them for many years to come.